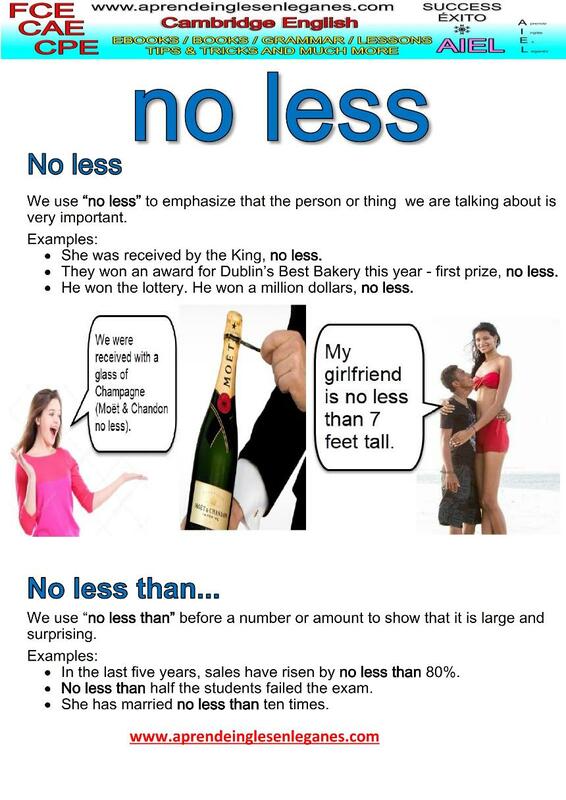 The phrases "no less" and "no less than" are used a lot both in written and spoken English. The former to express that somehing is important and the latter to mean that a quantity or amount is large and surprising. We use "no less" to emphasize that the thing or person we are talking about is very important. The phrase "no less" usually comes after the think or person that we mention. It can also be used sarcastically. He had a job interview with the company's CEO, no less. My jaw dropped when I saw him driving a Lamborghini Veneno,no less. We use "no less than" before a number or amount to show that it is large and surprising. He won no less than 50 million euros in the lottery. She reads no less than 10 books a month. 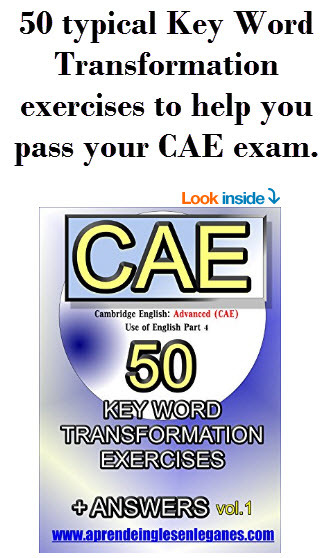 In the grammar sheet below, you will find some more examples that will help you to better understand how to use these two phrases.